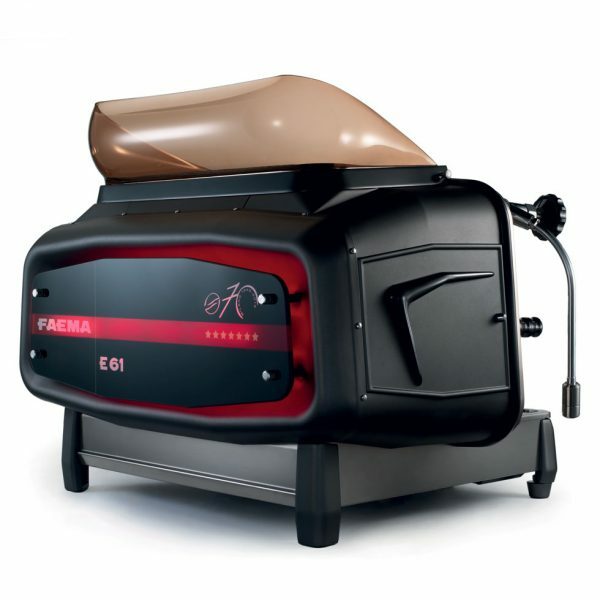 Faema’s mission is to be recognised as a world leader in the production of professional machines for espresso coffee beverages; To stay one step ahead of the market, offering innovative, superior-quality products. That’s why Coffee & Equipment are proud to supply their machines. Built in volumetric pump to give the water the ideal 9-atmosphere pressure and keep the pressure constant during the whole extraction process, unlike lever machines. Adjustable thermal balancing system (Faema patent). E61 is available in the semi-automatic version “Legend” and in the automatic one “Jubilé”, which features dosed hot water and beverage selections.